This year, Hair O’ The Dog attendees will be hitting the dance floor with internationally-praised electronic act, Cash Cash! This infectious dance-pop duo will be performing a live set for ALL ticket-holders from 11 p.m. to 1 a.m. in the Main Ballroom. Their hit song “Take Me Home” featuring Bebe Rexha gathered Gold certification in the United States; while their single “Surrender” broke the Top 40 chart, their second #1 song on dance radio. 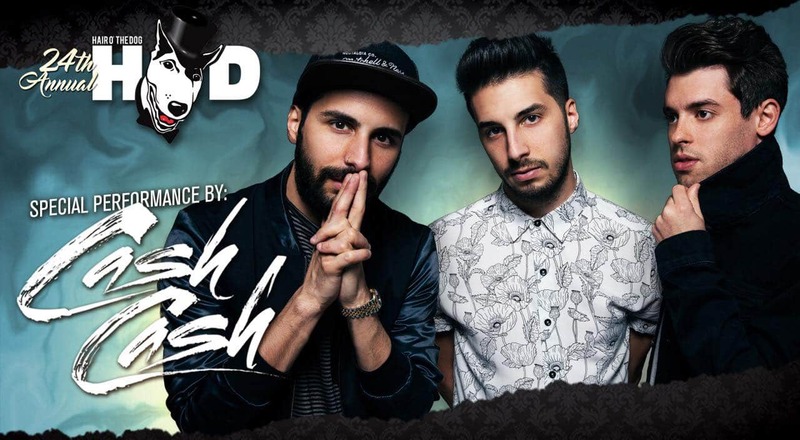 Cash Cash has collaborated on tracks with and have provided official remixes for acts such as Busta Rhymes, Fitz & The Tantrums, Capital Cities, Pink, Bruno Mars, and more. You can preview some of their hit songs here! And starting at 8 p.m., VIP ticket holders will be partying to Philly’s own DJ Ghost, the Official DJ for The Philadelphia 76ers. He’ll be kicking off the night and opening for Cash Cash. 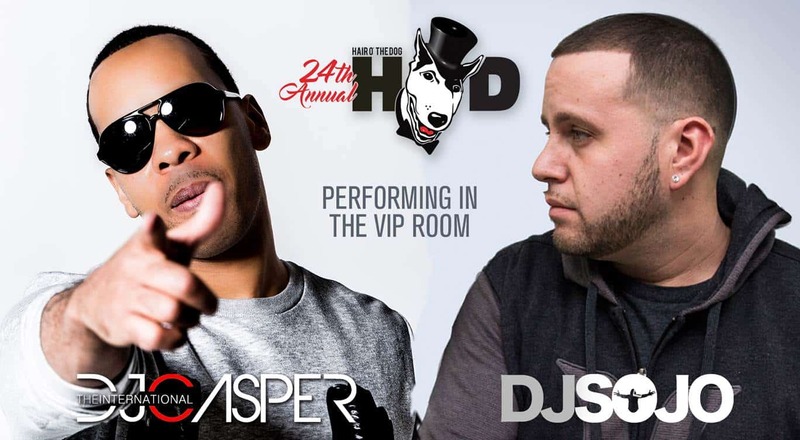 PLUS VIP and Top DOG Bottle Service Ticket holders can expect exclusive dual DJ sets from DJ Casper & DJ SOJO, available only in the VIP Shangri La Lounge. You won’t want to miss out on these sets, VIP tickets are still available while supplies last! Get an exclusive preview to the 2018 Hair O’ The Dog party and a few extra hours on the dance floor.